The Export Process, although different for each Environment, is similar in its architecture. There are two main process methods which occur depending on if you are exporting a Photoshop document or layer. 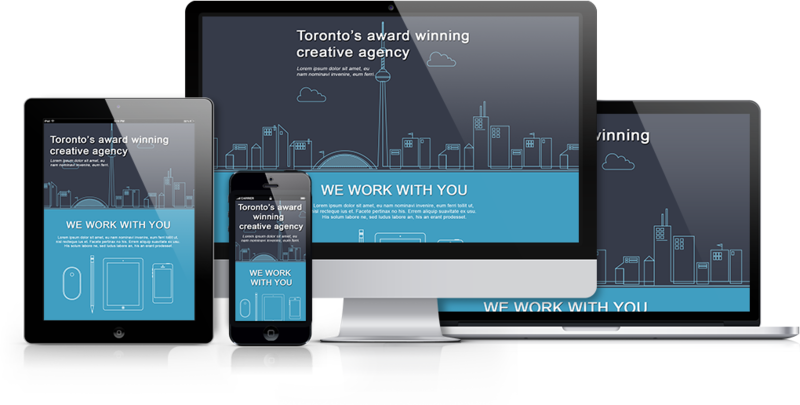 This process involves translating each Photoshop layer into its respective code environment. Each layer name will validate to ensure it uses common coding practices, then images related to layers will save and the layer will process depending on its environment. Export Kit will remove all characters which are not required by the output environment. In most code environments and servers, many character ranges are not accepted, and can cause unwanted display and code errors in the output. 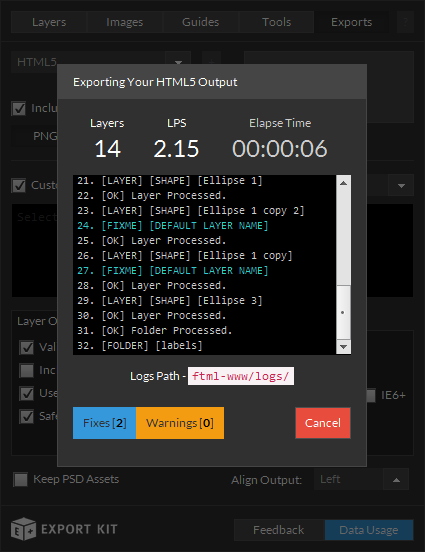 Export Kit ensures your output will works by validating your layer names. Learn more about Layer Naming Rules. Each layer will process the related image and render as the selected image type if available. The layer element will be captured and rasterized, then saved to the Export Folder. 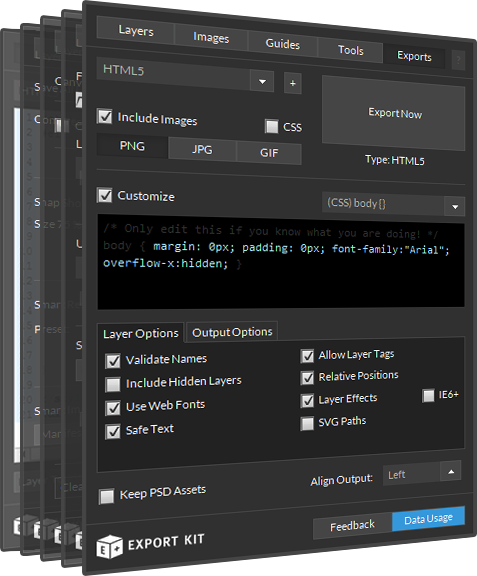 Layers are processed to check for native Photoshop layer types such as shapes, smart objects and folders. Each layer type will render differently depending on the selected output environment. - eg. 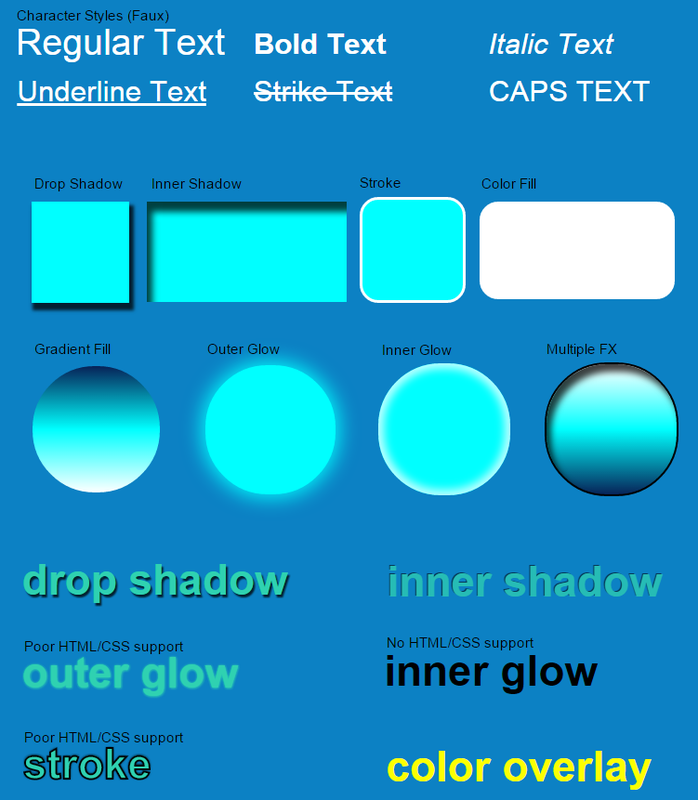 HTML has poor gradient support for Text effects. All environments process elements and effects differently! Learn more about Effects and Styles. Custom layer object, relevant to the selected environment are processed using our native Layer Tags to provide additional functionality to Photoshop layer elements. Layer Tags require a specific naming convention of layers in your Photoshop document. This process translates your complete PSD into your selected environment including the Layer Process (mentioned above) and additional processing to ensure your output is pixel-perfect. All Meta Information is collected from your PSD document to be used in the output; mainly as comments but some environments provide additional usage for Meta Info. 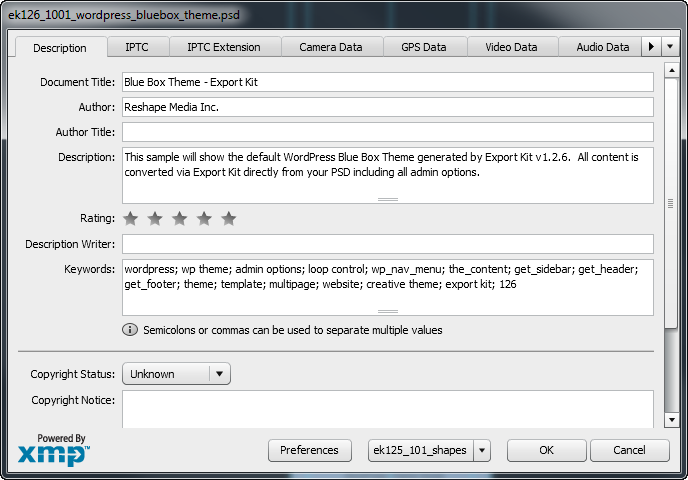 Meta info is used by Photoshop to describe the contents of the PSD file, including information such as Title, Author, Keywords, Description and more. Export Kit customizes the output for each individual environment selected providing you with a pixel-perfect translation of your PSD document. Each environment has variations on how and where it can render, along with what objects the individual environment supports. Export Kit takes the worry out of this process and make it automatic. EXAMPLE: Some projects such as HTML, can be viewed directly by clicking the output file, and the contents will be displayed in the browser. Others, such as Android UI require you to load the output project into the respective Eclipse based IDE, eg. Android Studio and compile the project. Learn more about Output Environments. Learn more about Output Customization. This is a layer-by-layer action, running the Layer Process on each element in your document. Refer to Layer Process above. This will create custom Class objects for the selected environment. Different environments have rules to process both display and data for elements. Some environments require different settings for objects to be displayed and are mapped in this process. EXAMPLE: A Text layer in one environment may allow for a simple assignment, eg. text = "sample text";, while another may require a strict assignment, eg. text = String("sample text");. Learn more about Export Optimization. Your document will render and save as an environment-ready project into your Export Folder. All required assets and code files are saved to the respective output folder and is ready for use once complete.